Now in their second decade, the Ardeton Ensemble continue to present vibrant and lively performances to audiences across the UK. Formed in 2001, the Ensemble combines talented string players with a passion for chamber music, performing repertoire where their individual personalities come to the fore. The Ensemble has performed across the UK from Aldeburgh to Cardiff and beyond, including a successful tour of Norway. The Ensemble has performed as a Clarinet Quintet for recitals at the Oakham Music Festival, and as an Oboe Quartet for the Pulse Fringe Festival in Ipswich. The Ensemble returned to its roots as a String Quartet in a concert to open the 2008/9 season of the Chipping Sodbury Music Society in October 2008, which received critical acclaim in the local press and led to a repeat invitation to return in March 2011, when the Ensemble appeared with the pianist Stephen Meakins. Other performances include recitals for the Music Unlimited lunchtime series at St Andrew’s Chippenham; the Calne Festival of Music & Arts; the Broxbourne Lunchtime Series in Hertfordshire; the Chew Valley Festival, Somerset; Music at St Adelines, Gloucestershire; the St John’s Concert Series, Cardiff; All Saints Church, Cheshire; Music at Westonbirt recital series, Gloucestershire; the Boutflour Hall, Cirencester; All Saints Church, Bristol; St Andrew’s Church, Cromhall; Manvers Street Baptist Church Lunchtime Series in Bath, and child-friendly performances for Music for Miniatures and Lilliput Concerts. 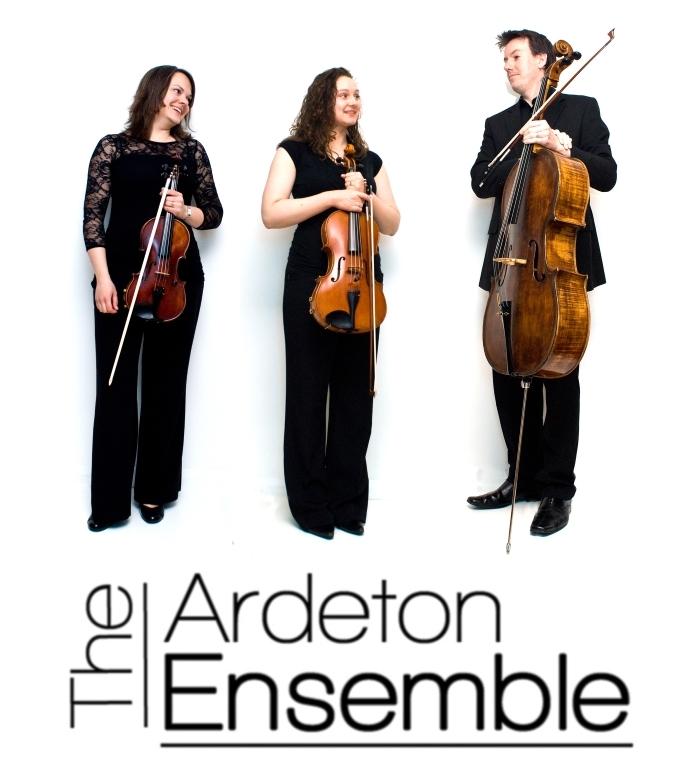 In addition to recital performances, the Ardeton Ensemble runs an established Education and Outreach programme. Projects include school-based workshops in performance and composition for GCSE and A-Level students, and ‘Music: Live!’ presentations for Key Stage 2 children in primary schools. The Ensemble worked in close partnership with the founders of Thornbury Area Youth Music in South Gloucestershire, which led to the creation of Chamber Music courses, the South Cotswold Youth Orchestra, and the Let’s Play! programme of instrumental lessons for the youngest musicians. The ensemble’s diversity and unfaltering desire to try new things has led them to numerous performances on film, TV and radio. Based in Chipping Sodbury, they have worked with many singers and bands in the South West, including releases for The Hi-Life Companion and Jess McAllister, and internet sessions for Frost Factory Live at Peter Gabriel’s Real World Studios in Wiltshire, the Croft Sessions in Devon, and festival performances across the UK .